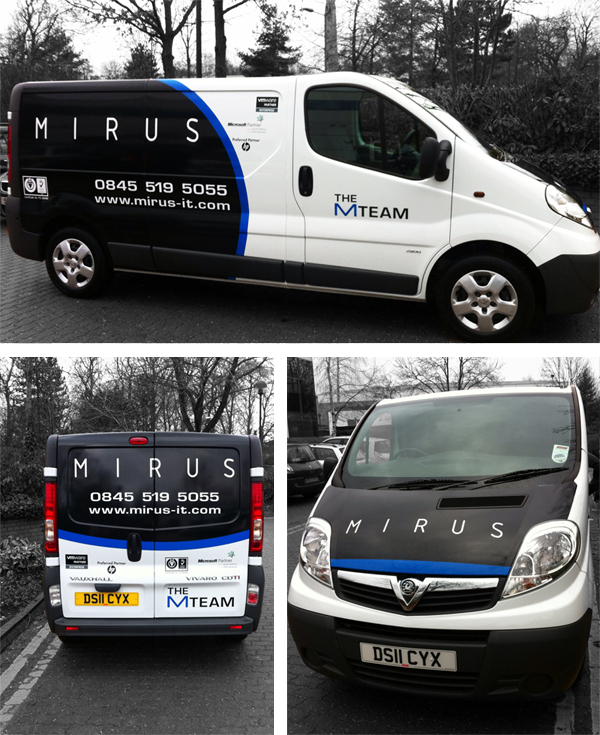 The new van arrived today, completely sign-written and ready to serve our customers. The new van has been added to the fleet due to increasing demand for IT projects involving large data centres, multi rack installs and office relocations. Be sure to look out for the new van driving around the area, it displays our latest accreditations from Microsoft, HP, VMware and BSI. Our newest accreditation from VMware is Enterprise Partner. With Mirus being qualified and experienced in VMware, we are well equipped to deal with a multitude of virtualisation projects, for a wide range of industries.